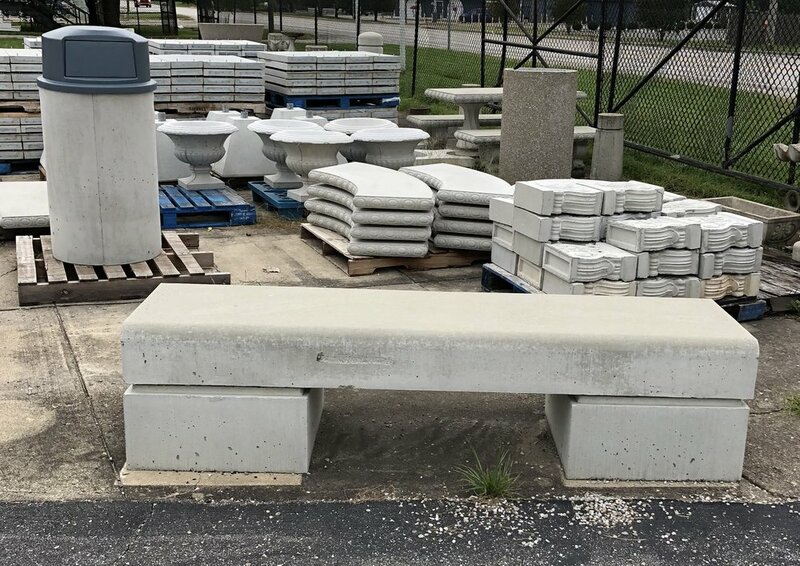 We have a variety of concrete benches and tables to choose from. They can be palletized and shipped to your location if outside our delivery area. 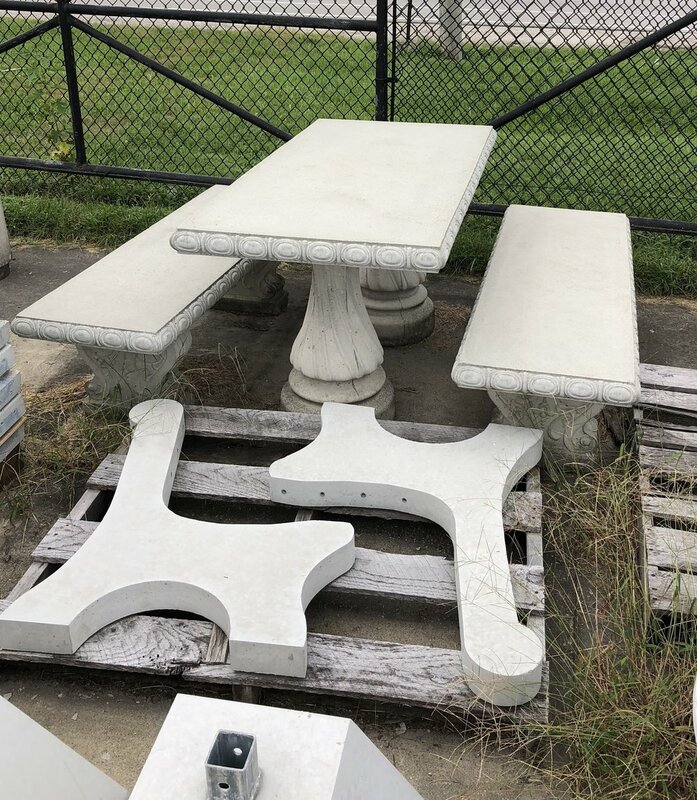 Rectangle Table w/2 Benches. Also park bench frames for mounting wood or pvc slats.